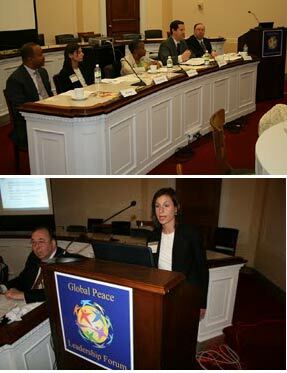 The May 12 forum, “Confronting Family Poverty,” was hosted on Capitol Hill by the Global Peace Leadership Forum in recognition of the United Nations International Day of Families 2011. The event was co-sponsored by Rep. Hank Johnson (Georgia, 4th district) and the Strengthening Families and Communities Coalition. 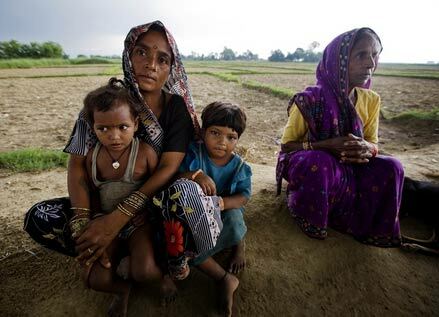 Director of the United Nations Information Center Will Davis described family welfare as among the most important priorities of the world body, and he delivered UN Secretary Ban Ki-moon’s message in recognition of the International Day of Families 2011. He noted that UNICEF, one of the most visible of the UN’s many agencies, provides essential health services, vaccination campaigns against communicable diseases, and the innovative “school in a box,” a portable, rapid-response school structure to serve regions struck by natural disasters or post-conflict areas where formal education is often among the first casualties. Ending homelessness is not only a humanitarian but an economic imperative, as stable housing provides an essential means for delivering basic services and improving life for individuals and families. Arguing that it’s better to invest in solutions than pay for the maintenance of homelessness, Ms. Zeilinger said crisis-driven alternatives to a stable home include foster care, emergency rooms, psychiatric hospitals, domestic violence shelters, detox centers, and jails. Ending homelessness is not only a humanitarian but an economic imperative, she explained, as stable housing provides an essential means for delivering basic services and improving life for individuals and families.